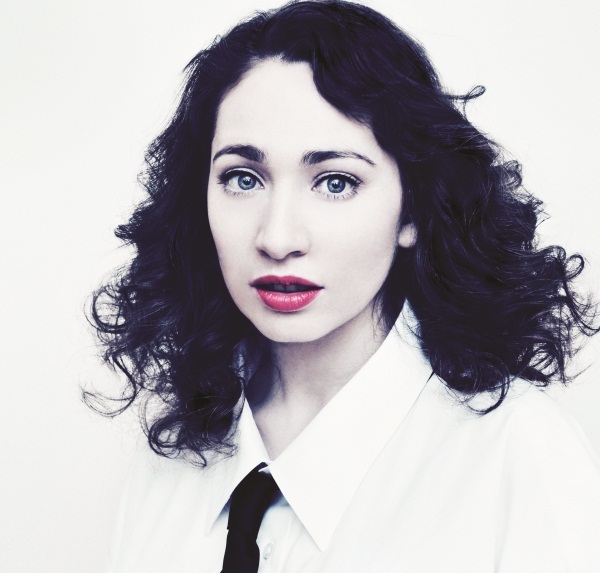 “Oh Marcello,” a standout track on Regina Spektor’s latest album, What We Saw From The Cheap Seats, begins with a simple piano line that sounds like it’s playing on scratched vinyl over busted speakers. Then Spektor comes in singing, putting on a thick Russian accent to portray a woman mid-prayer, worrying that her unborn son might become a serial killer. For a chorus, Spektor turns to that old Nina Simone/Animals/Santa Esmeralda hit: “I’m just a soul whose intentions are good. Oh lord, please don’t let me be misunderstood. Understood?” These almost comically disparate elements are stitched together by Spektor beat-boxing a drum solo. It’s a strange and unpredictable mixture, but the song still works – a little bit funny and a little bit sad. Ricocheting and caroming wildly around “Oh Marcello,” Spektor’s voice has lost none of its capacity to startle, unsettle, and surprise – even after five albums in ten years, even after tours opening for The Strokes, Kings of Leon, and more recently Tom Petty and the Heartbreakers. That sense of possibility – like anything could happen inside these songs – makes What We Saw From The Cheap Seats unlike anything else released on a major label. Showcasing all of her engaging eccentricities, it may actually be her best and most accomplished record; at the very least it represents a fine addition to a unique oeuvre, one that is defined by her quirky vocalizations, her whimsical lyricism, and her bold engagement with the pop canon. But don’t let Spektor be misunderstood. As immediately recognizable as that voice may be, it has inspired some misperceptions about its owner: that she is a scene naïf, that she is all quirk and no substance, and – perhaps most bafflingly – that her songs exude an essentially happy-go-lucky optimism. While Spektor might be considered an acquired taste by many listeners, those criticisms represent facile impressions of a complex and original artist who is remaking pop in her own image.